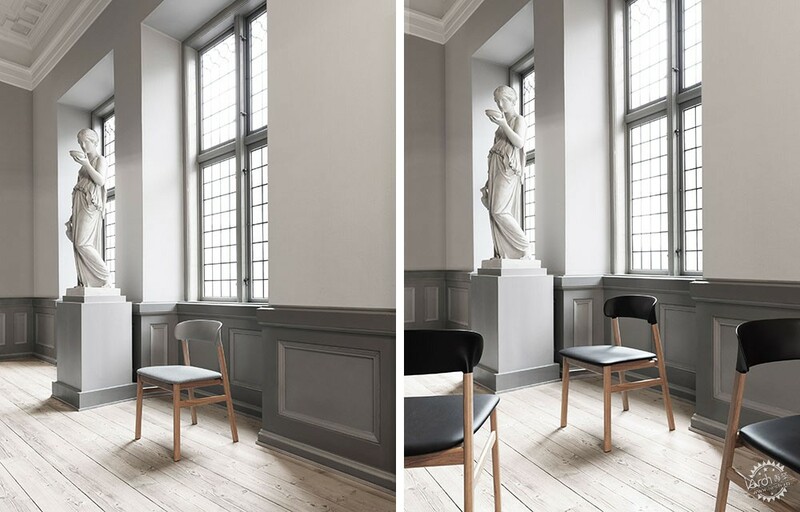 Simon Legald used oak and plastic when creating this chair for Normann Copenhagen, which seeks to combine mid-century and contemporary Danish design in its form. 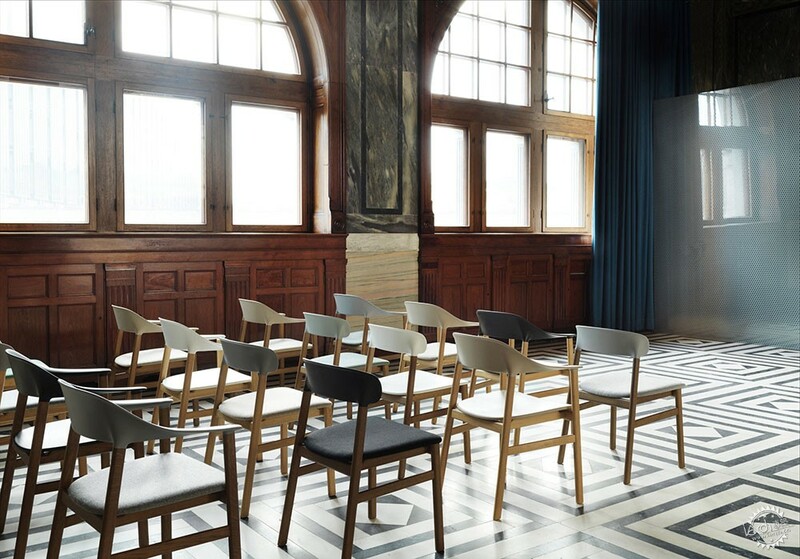 Launching during this month's Milan design week, the Herit chair – short for heritage – features a solid oak frame, an enveloping plastic backrest, and a sculpted plastic or upholstered seat. Its curved form, which recalls the sweeping shape of mid-century Danish armchairs, is designed to follow the shape of the body while its plastic backrest and seat make it "hard-wearing, maintenance-friendly and accessible". 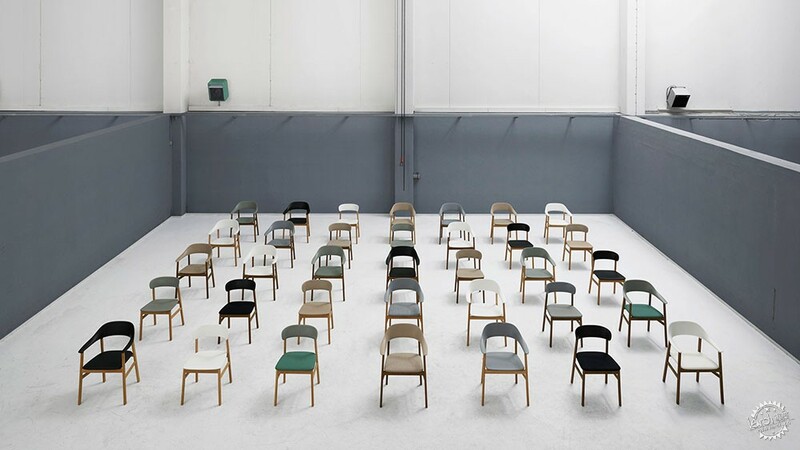 According to its designer, longtime Normann Copenhagen collaborator Simon Legald, the intention was to create a versatile and strong chair inspired by his love of classic Danish furniture. 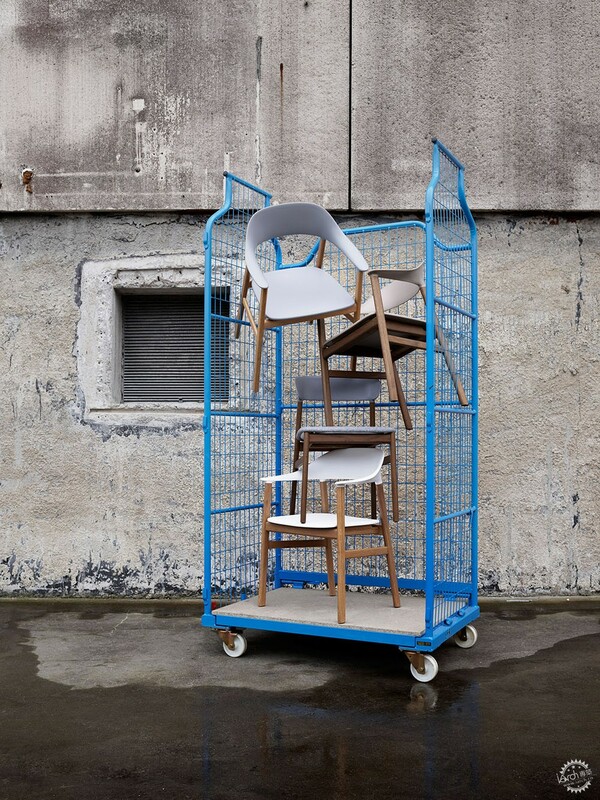 "The simple and honest style that characterises Danish furniture history stands as a clear frame of reference for a collection draped in nostalgia," said the brand in a statement. "But Herit is just as much a design that looks forward. 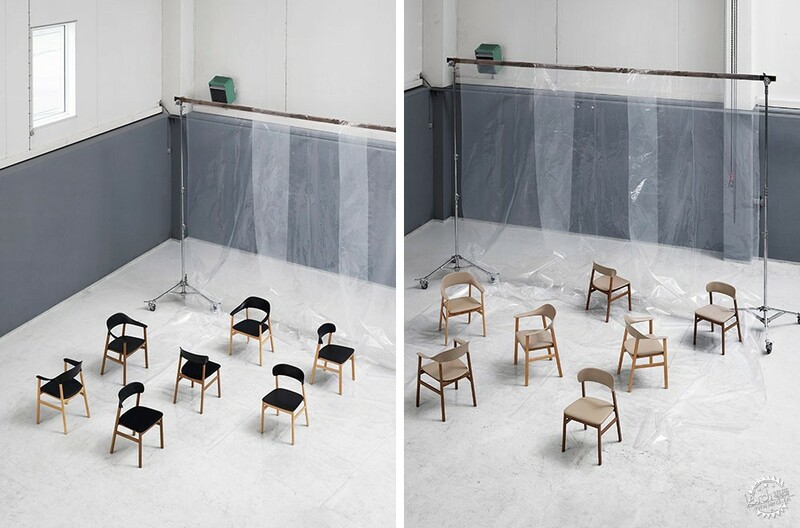 Innovative production methods, new material compositions and timeless silhouettes give life to a chair that stands tall on its own," it continued. 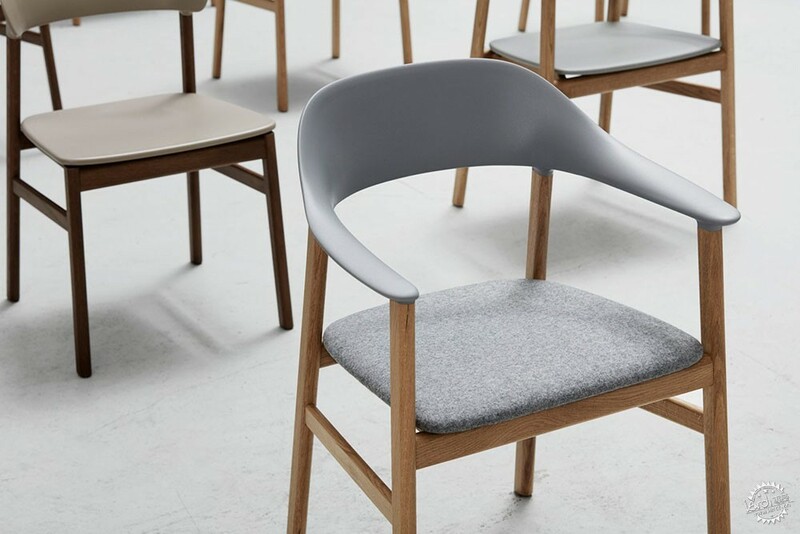 The chair's plastic parts are moulded with a core of foam, which makes it possible to achieve the exact thicknesses needed to create the sculpted seat and the backrest's sweeping form. 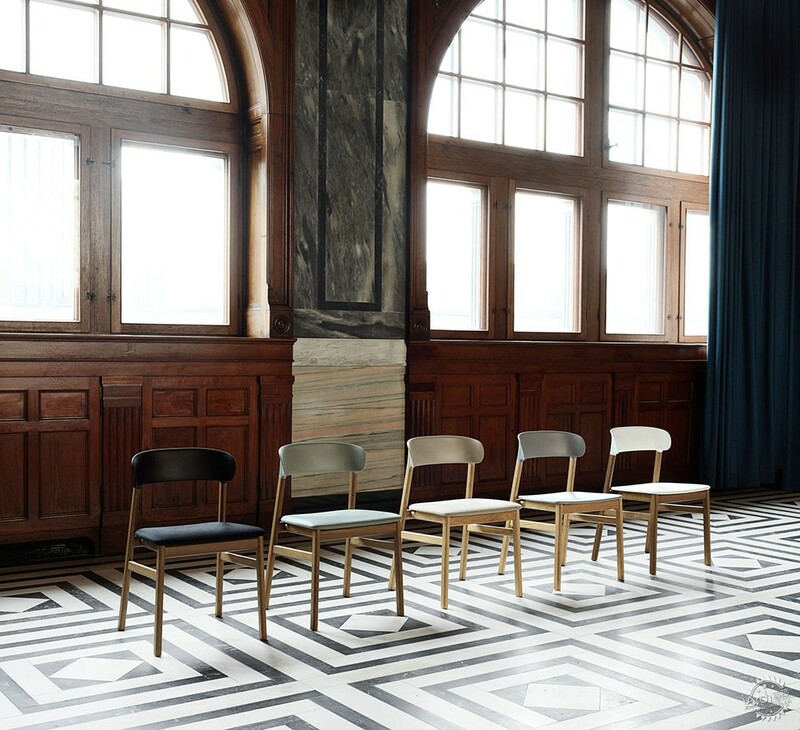 As a result of combining traditional and contemporary design references, the brand hopes that the Herit chair will suit both classic and modern interiors. Since graduating from the Royal Danish Academy of Fine Arts in the summer of 2012, Legald has created numerous furniture and homeware designs for Normann Copenhagen, including terrazzo-topped tables, wine accessories and cabinets with perforated doors. Characterised by their clean lines and simple expression, Legald's designs often blend craftsmanship and industry. "For me, simplicity describes the true identity of objects and makes them trustworthy," he said of his work. "In my design, I try not to add any unnecessary details. I work with simplicity by highlighting the necessities instead of hiding them. It gives the product a simple and honest expression." 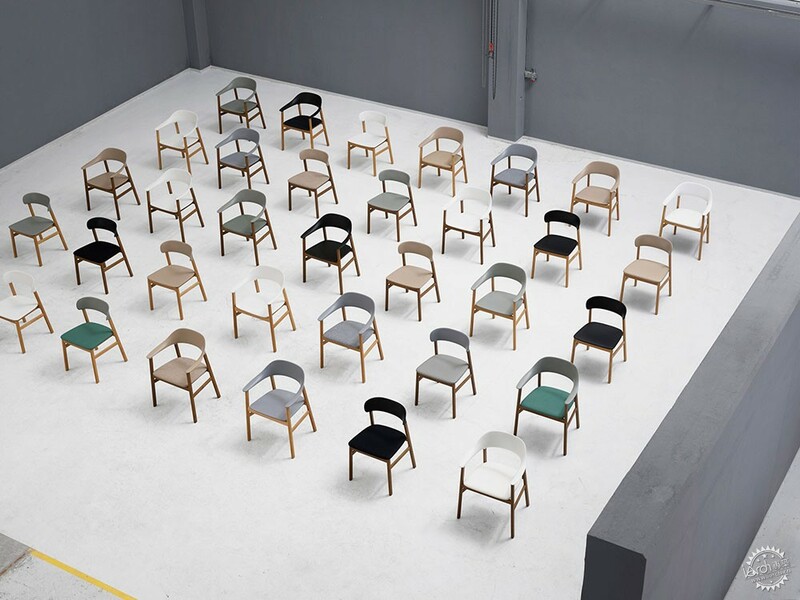 Herit will be presented at Milan design week on Normann Copenhagen's stand at Piazza del Tricolore 2, 20129 Milan, from 17 to 22 April 2018.